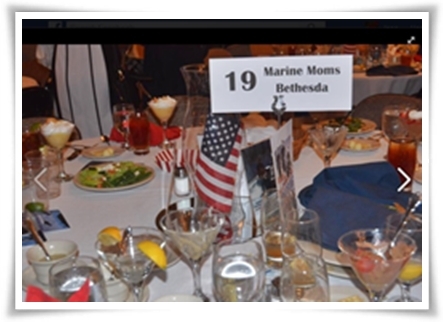 Table 19, Honoring the Sacrifice 3rd Annual “American Heroes Dinner” July 15, 2016. Photo courtesy of Mr. John Shackleford. By all accounts, we’ve heard the “3rd Annual American Heroes Dinner” hosted by Honoring The Sacrifice Foundation was very enjoyable! It was an honor to be involved as a sponsor for three VIP tables through the generosity of an anonymous donor. Thank you for supporting this organization that is helping to better the lives of those who have sacrificed so much on our Nation’s behalf. “Elfs” in the Chattanooga area helped us get the word out and fill the seats. Thank you! Special thanks to Mr. John Shackleford for sharing his personal photographs from the dinner with us. It was nice being able to place the names on our guest list with pictures of our guests. To view the official pictures from the event please visit Honoring the Sacrifice’s American Heroes Dinner photo gallery by clicking HERE. Some of us Marine Moms and Dads have known each other since boot camp, others since our sons’ first deployment. 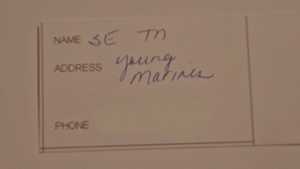 Maybe our kids grew up together in the same neighborhood and joined the Marine Corps together. Still others we have met along the way through one support group or another, whether it is from the MarineParents.com site, a Yahoo group, or from homecomings, local events, a Blue Star Mothers chapter, or, yes, even chasing down a car in town with a USMC sticker on it! We are everywhere. It’s just the hooking up with each other that may difficult sometimes. 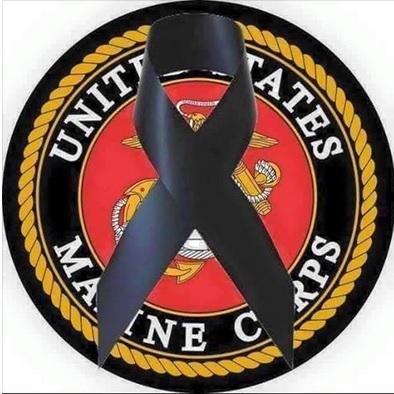 One thing we have in common is we claim every Marine we meet as our own, and we do our best to “fill in” for the parents who can’t be there for their son or daughter. My hope is that every military family is connected to another military family. It really does help with the roller coaster ride. 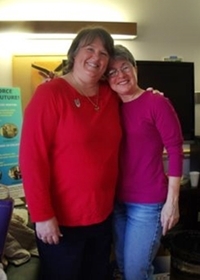 The friendships you make will last a lifetime.